The Lincoln Monsters are sometimes dismissed as "Mego Knockoffs" which they kind of are but they should also be recognized as the charming and fun monster toys they are. These eight inch Mego inspired figures were made in the mid 1970's by toy manufacturer Lincoln International. The Monsters saw distribution in the United Kingdom, Europe andNorth America. Variations of both the packaging and figures themselves exist which implies that several runs were made. 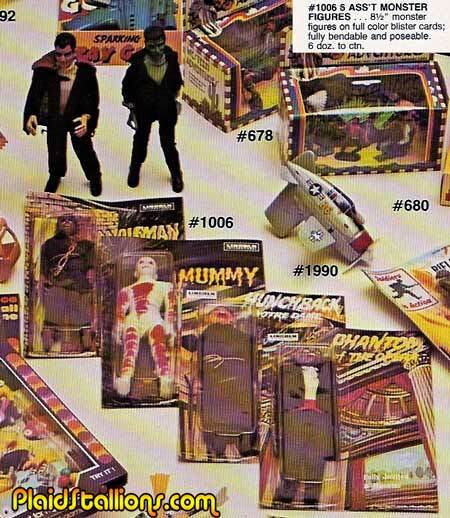 The Monsters were distributed by Lewis Galoob in America, leading to the famous Ward's catalog spread in 1976 (which is our title page). In Canada a company called P.K. Douglass brought them in and sold to sub distributors such as Variety Product Sales. 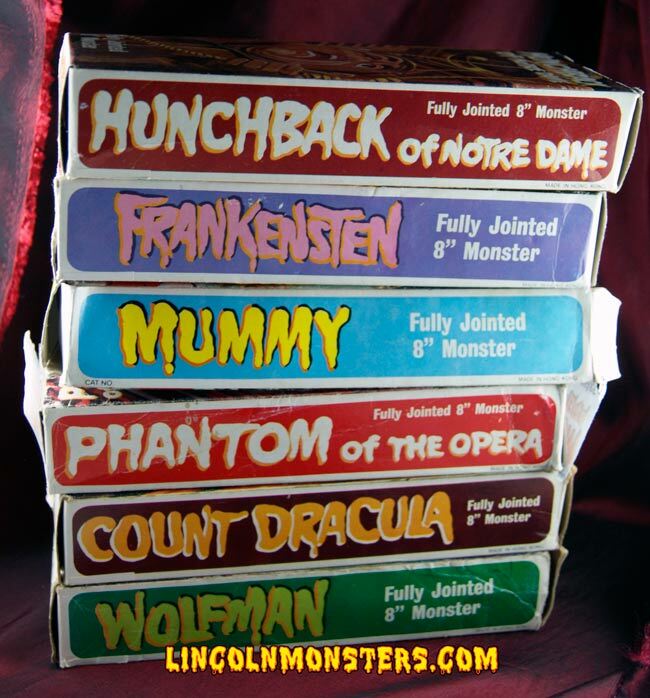 The United Kingdom likely saw distribution by Lincoln itself, it is the only country that seemed to get the first wave of solid boxed monsters. There are seven figures officially in the Monsters series (although many would argue that Mr. Rock belongs in here as well) They are: Wolfman, Phantom of the Opera, Hunchback of Notre Dame, Mummy, Dracula, Frankenstein and their girl victim which was exclusive to Spiegel. Obviously, none of these characters are licensed from Universal and are just shy of infringing on their copyrights. It's interesting to note that Lincoln decided not to include their own version of the Creature, probably because either it would require a new body type or the fact that the Creature isn't a public domain literary character. To the left are the individual galleries for each character plus other Lincoln creations. Your feedback is always welcome and I am always buying Lincoln Monsters. Hey Wait: these aren't the ones I had as a kid! Azrak Hamway (AHI) made a series of Monster figures that included the Creatures. Mego produced a series of Mad Monsters with a castle playset, you'll find the most extensive gallery for those at Mego Museum. 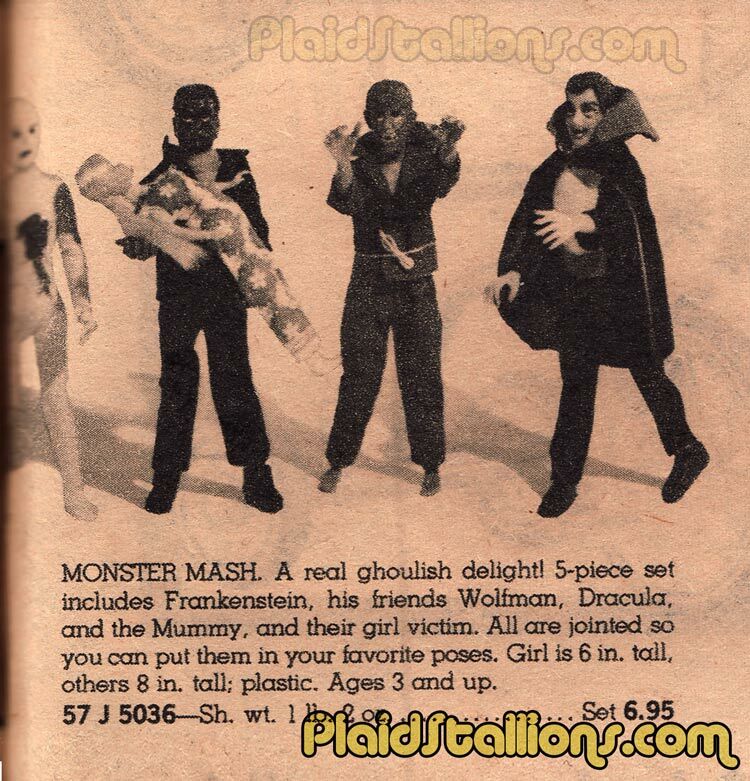 In 1980 Remco produced a wonderful series of 9" Monsters check out our Remco Monster Gallery for more information. 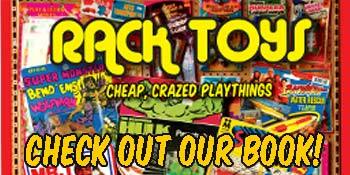 Visit our new online shop to buy action figures and Publications. 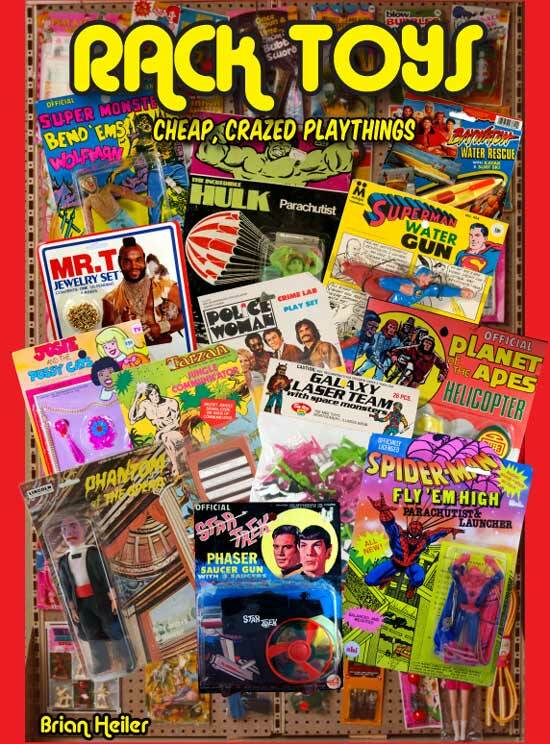 Our book "Rack Toys: Cheap, Crazed Playthings" is a love letter to the Lincoln Monsters. 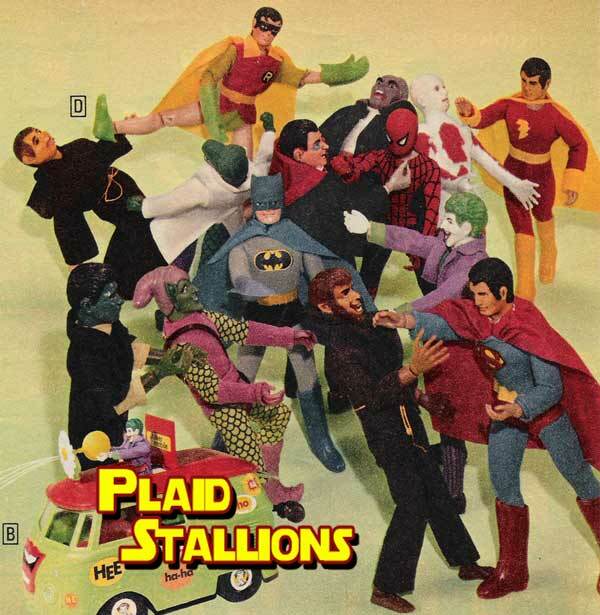 © PlaidStallions.com. All rights reserved.